Since its introduction of the first commercially produced aerial work platform, JLG has claimed many access industry firsts. JLG Industries Inc., an Oshkosh Corporation company and a leading global manufacturer of aerial work platforms and telehandlers, officially kicked off its year-long 50th anniversary celebration, marking a half-century since its founder spearheaded the access industry with the introduction of the world's first boom lift, commonly referred to as JLG 1. On Jan. 9, 1969, John L. Grove rallied a small group of people around one big idea — create a safer way to work at height. This seed idea came to life with the introduction of the first aerial work platform. Grove's passion for safety and his pioneering spirit continue to be carried out today by more than 6,000 JLG employees around the world. "Fifty years is a remarkable milestone for both JLG and the access industry," said Frank Nerenhausen, JLG president. "Our founder not only started a company, but an entire industry. This is a key point of differentiation for the JLG brand. We continue to build on this legacy through continuous development of products, services and technology that advance safety for work at height." Since its introduction of the first commercially produced aerial work platform, JLG has claimed many access industry firsts — including oscillating axles for boom and scissor lifts in 1981, the only fuel-cell powered boom lift in 1999, the first environmentally-friendly 60-foot electric boom lift in 2000, and the first straight boom lift to reach 150 feet in 2011. The company surpassed its own record in 2014 with the introduction of a 185-foot model 1850SJ, the world's tallest self-propelled boom lift. 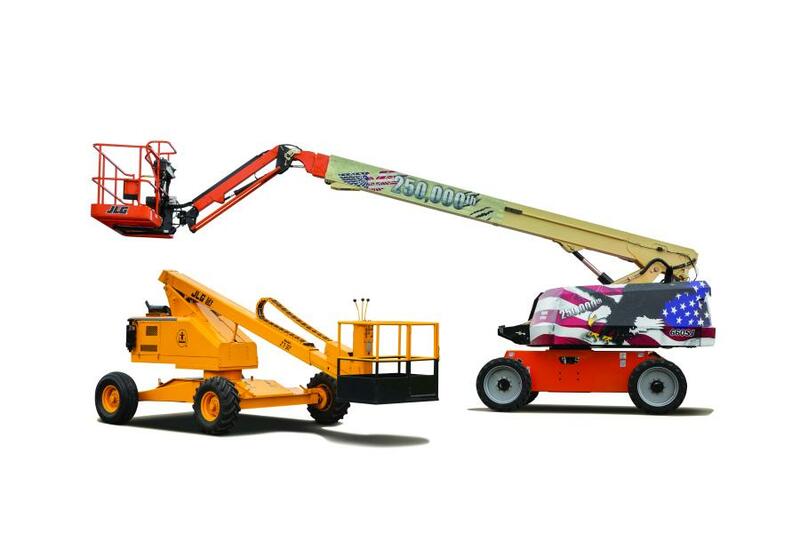 In the same year, JLG introduced the first true hybrid diesel/electric boom lift, the H340AJ. "For more than 2,000 years, people used inefficient and dangerous methods to access work areas," said Guru Bandekar, JLG vice president of global product management and development. "So, when you think that a mere half-century ago no one had invented a way to safely elevate people on job sites, one realizes how remarkable John L. Grove's advancement was. His accomplishment gives all JLG employees a tremendous sense of pride." John L. Grove was a skilled inventor, a savvy businessman and an extremely hard-working individual, who was driven by the pursuit of perfection in the products that bear his initials. A former employee once said, "You could show John L. Grove anything, even a fountain pen, and he could immediately tell you how to improve it," according to an excerpt from the book "The Life and Legacy of John L. Grove." Nerenhausen added, "Grove's inventive spirit continues to fuel product development at JLG. He blazed a trail that was never before traveled, and we mark 50 years with a steadfast focus on providing the industry with access equipment solutions that continue to bring his initial vision and purpose to life." 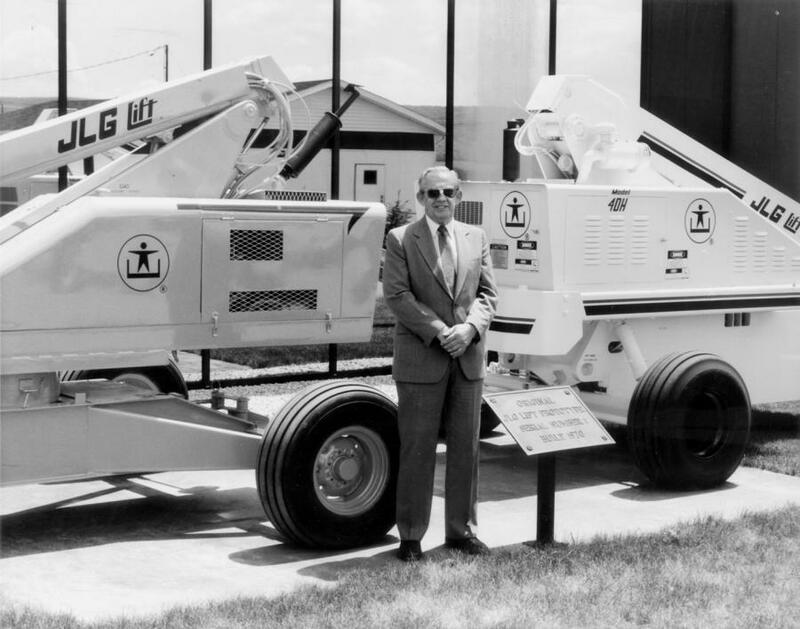 It should not be overlooked that John L. Grove formed JLG Industries with an inner circle of only three investing partners, and within a few short years, developed a unique product that filled a huge void in the construction industry. He quickly won customer confidence and brand preference — a preference that saw the company quickly expand domestically and later internationally. Today, JLG is represented across five continents, with manufacturing facilities in the United States, France, the United Kingdom, Romania, Australia and China. While the boom lift marked the start of JLG, the company's product portfolio has steadily expanded over the years to include a variety of award-winning hydraulic and electric drive scissor lifts, telescopic handlers, vertical lifts and a wide-range of low-level access solutions. Far more than just products, JLG today leads the industry in its after-the-sale parts, service and training offerings to ensure productivity, profitability and continued safety improvements on the job site. To learn more about the 50-year history of JLG, visit www.jlg.com/en/destination/jlg50. To learn more about JLG, visit the company website at www.jlg.com.